I was up late the other night, and needed something to watch, so I decided to scroll thru the suggestions Netflix makes for you, to see if there was anything that grabbed me. Most of the titles I had already seen, except for one, The Mind of a Chef. I love food, but I was in the mood to see something more action packed, something a little more blue methish. After going thru all the suggestions on Netflix, and still not finding anything that grabbed me, I decided to give in and see what The Mind of a Chef was all about. 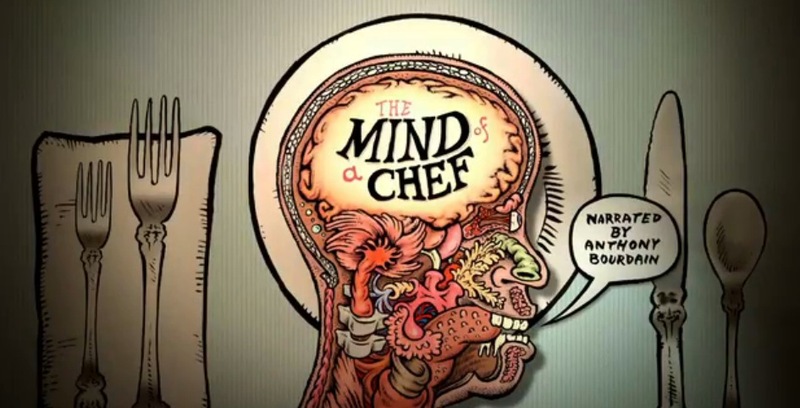 The Mind of a Chef is narrated and executive produced by Anthony Bourdaine and airs on PBS. The combination of Anthony Bourdaine + PBS = the perfect food nerd show. It’s No Reservations, meets Alton Brown’s Good Eats. 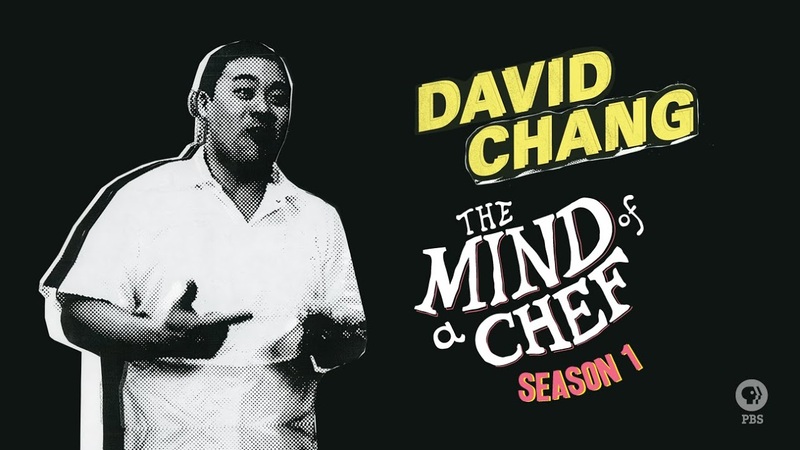 Chef David Chang, and his chef friends, take you on a culinary trip to different parts of the world. Along the ride, you’re exposed to different techniques and cultural influences. They show you exactly what goes thru the mind of a chef when creating the dishes we fall in love with that make eating such a joyous experience. Watching The Mind of a Chef, is like watching a lion while on safari instead of at the zoo; you get to see the chef in his natural habitat. On New York Episode, Chef Chang, takes a trip to Torrissi Italian Specialties. Rich Torrissi and Mario Carbone, make a pasta called Cavattelli PS46. The dish is inspired by the Jamaican beef patties served to Carbone, when he was a student at PS46. A dish with Indian and Jamaican influences, thought up by 2 Italian New Yorkers; if this isn’t the definition of melting pot, then I don’t know what is. God Bless America! The Simple Episode, which could just as well be titled, Focus, highlights how making one thing, extremely good, is anything but simple. Watching Sawada, makes me realize that when it comes to sushi, I’ve only eaten sh!t. No soy, no slices of ginger on the side, or wasabi, simply fish, expertly handled with focus. The Rotten Episode, will completely confuse your definition of what the word “rotten” means. Maybe things are only “rotten” if you don’t think happy thoughts when you make them, as illustrated when making kimchi. Kimchi Party!!! I never knew that making Kimchi could be so celebratory. And in the Memory Episode, Chef Chang and I seem to share the same memory. Maybe it’s just a DMV thing (DC/Maryland/Virginia), but yes, Old Bay is the greatest seasoning America has ever produced. Basically, what goes on in the mind of a “good” chef, is the notion that to do things well, you must have passion and focus. If you are a nerd (check) and you really really enjoy food (check). Then you’ll love this show. Wow, Netflix, you really do know me well. Now off to watch Season 2. This entry was posted in My Ramblings and tagged Anthony Bourdain, chef, David Chang, Netflix, PBS, The Mind of A Chef, TV by greedygirlinlv. Bookmark the permalink. Please do. If you think he’s awesome you’ll enjoy it.